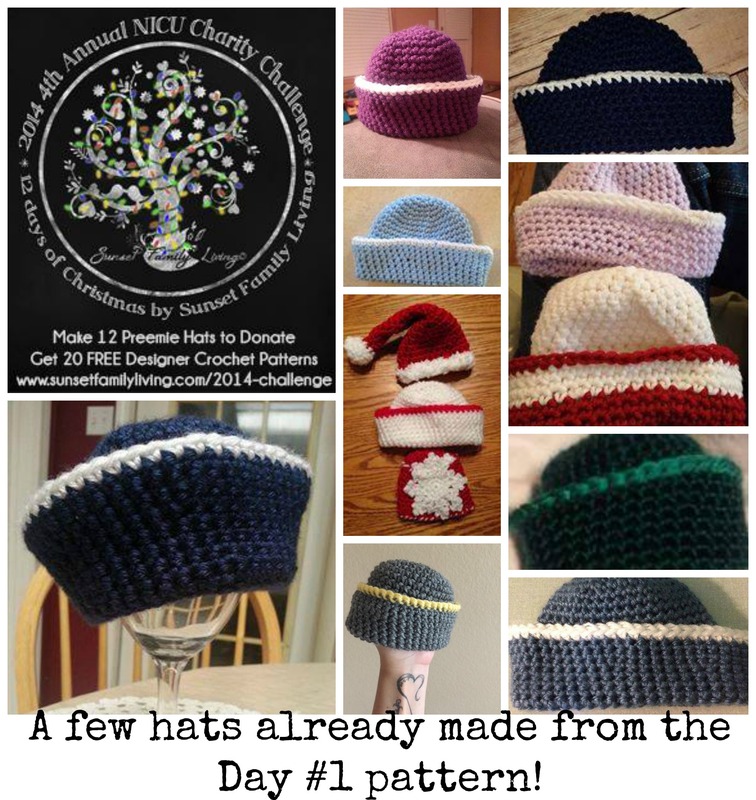 ← Twelve days of Christmas, 12 Hats – NICU Charity Challenge! This is just a sample collage of photos sent in by some of the amazing folks who have joined in the challenge. So far, there are over 200 volunteers all over the world making these tiny little hats for these tiny little people. Please join us by entering the challenge here and signing up for the daily newsletter. A new pattern will be delivered to your email daily for 20 days, along with some bonus patterns courtesy of Bonnie, the founder and host of the 2014 4th annual NICU Charity Challenge at Sunset Family Living! Follow the progress on Facebook here. Happily making my hats today and enjoying every stitch! Posted on November 21, 2014, in 2014 NICU Charity Challenge, Charity, Free Patterns, PATTERNS, Worth Reading, Worth Watching and tagged 2014 Twelve Days of Christmas, crochet, crochet challenge, crochet pattern, facebook, free crochet pattern, free pattern, NICU charity, NICU charity challenge, NICU hat, Sunset Family Living, the hooked haberdasher, wendy bickford. Bookmark the permalink. Leave a comment.